Posted in Advertising, Apps, Loyalty Management, Social Media. Tagged advertising, My Starbucks rewards, Starbucks, Starbucks App. 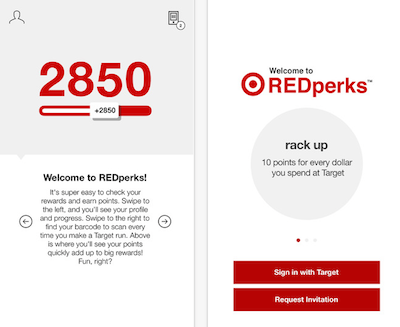 Target has recently launched a loyalty program with its “Brick and Mobile” strategy, in an App Red Perks that rewards you for earning Loyalty points linked to a purchase, upon scanning a Barcode. According to mobile Commerce Daily, The program is being tested in the Raleigh-Durham area of North Carolina and is available by invitation only.The unique feature of the app is that the user earns 10 points for every dollar spend .Upon reaching a 5000 point threshold the user can avail a 5 percent discount on the next purchase. Redperks is a Loyalty feature that rewards customers upon achieve a certain threshold level thereby driving Loyalty for the store and offering a cash discount as opposed to the store merchandise. Posted in Apps, Brand Loyalty. 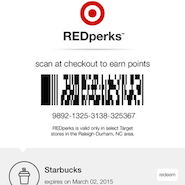 Tagged Apps, Digital, Mobile, Retail, Rewards, Starbucks App, Target. Starbucks has a brand new offer to make the holiday season even more fun or as Starbucks captions it “Wonderful-ler”. You could win “Starbucks for Life” by using the Starbucks Gift Card or Starbucks App right through January 5, 2015. The Promotion gives a chance to win Starbucks for Life fulfilled as a daily credit for 30 years for one free food or beverage item redeemable at participating Starbucks stores in the U.S. Starbucks evening food and beverage menu items excluded. Posted in Apps, Digital, Mobile Shopping, Video Advertising. 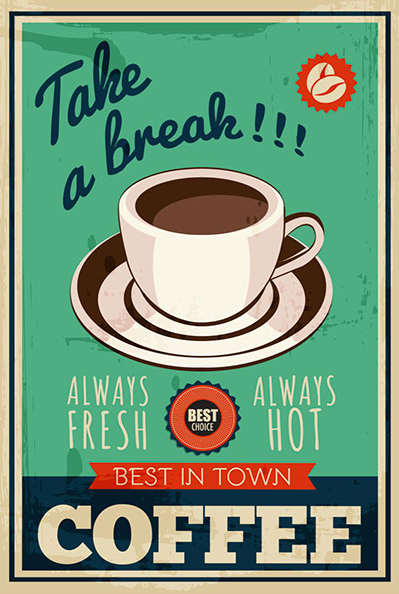 Tagged Ads, Apps, Contests, Digital, Holiday Season, Product News, Starbucks, Starbucks App.